Failed Democratic candidate writes book about how she felt after losing elections, why she dislikes her successful opponent. Failed Democratic candidate Hillary Clinton is "convinced" that associates of US President Donald Trump's campaigns worked secretly with Russia to defeat her bid for presidency. Speaking to Pod Save America, Clinton said she thinks "Trump, left to his own devices, unchecked, would become even more authoritarian than he has tried to be... He likes the idea of unaccountable, unchecked power." Seeing "the threats that Trump posed to the country," Clinton tried to combat them with her own policies. "I still believe...he’s a clear and present danger to America," she added. Clinton recently published a 495-page book titled "What Happened," focusing on the election campaign and the perceived dangers in America's chosen president. In it, she wrote that Trump is "hateful" and "a fraud and a liar." "Flagrantly sexist," and presenting "a clear danger to the country and the world," Trump makes her skin crawl. Claiming Trump is waging a "war on truth," Clinton wrote that, "Attempting to define reality is a core feature of authoritarianism. This is what the Soviets did when they erased political dissidents from historical photos. This is what happens in George Orwell’s classic novel Nineteen Eighty-Four, when a torturer...delivers electric shocks... If he stood up tomorrow and declared that the Earth is flat, his counselor Kellyanne Conway might just go on Fox News and defend it as an 'alternative fact' and too many people would believe it." 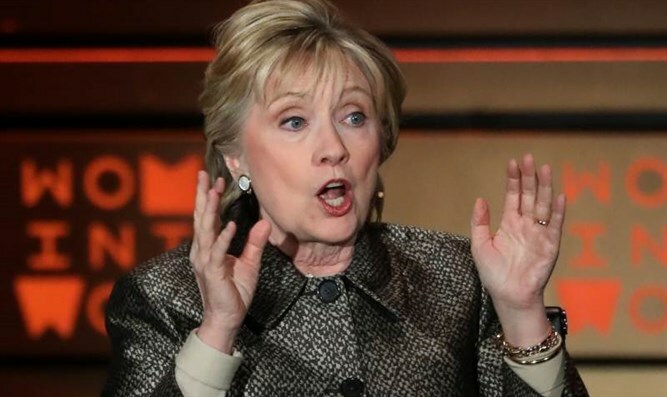 Regarding the election campaign and the investigation surrounding Russia's possible interference, Clinton said she has "no doubt" the claims are true. "There certainly was communication and there certainly was an understanding of some sort," she wrote of Russia's "aid" to Trump. "I'm convinced of it." "There's no doubt in my mind that [Russian President Vladimir] Putin wanted me to lose and wanted Trump to win... I wasn't just running against Donald Trump. I was up against the Russian intelligence apparatus... This was, there’s no other word for it, war. "There's no doubt in my mind that there are a tangle of financial relationships between Trump and his operation with Russian money. And there's no doubt in my mind that the Trump campaign and other associates have worked really hard to hide their connections with Russians." Regarding her own unresolved email scandal, Clinton said, "There were all of these outside forces coming at me right until the very end." White House Press Secretary Sarah Sanders said Clinton's obsession is "sad" and it was a shame she had chosen to waste time making "fake and reckless attacks to prop up book sales." Trump responded to her book on Twitter, saying it is "fascinating to watch people writing books and major articles about me and yet they know nothing about me and have zero access. FAKE NEWS!"